The star of mismatched socks is definitely Solmate. Fun styles. Unique designs. Sizes for kids, women and men. not ot mention, their mismatched socks feel great on your feet. 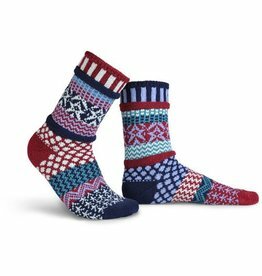 It's odd to say, but no matter what your style is, we're sure to carry a pair of mismatched Solmate socks to, um, match it.